Todd Gutner is Chief Meteorologist at NEWS CENTER Maine in Portland, Maine. Todd Gutner obtained his degree in Meteorology from the State University of New York at Oneonta. His work has been Emmy nominated and awarded the AMS Seal of Approval. Todd began his broadcast meteorology career right here at NEWS CENTER Maine back in 2000 as a weekend meteorologist. He held that position until 2007 when he went to Boston to work for WBZ. 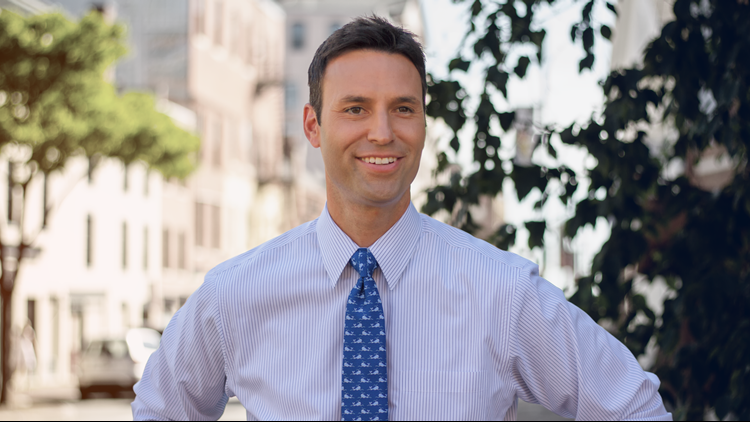 From 2007 to August 2014, Todd held several positions at WBZ including Monday through Friday evening and morning duties. He also had a weekly gardening segment called "Gardening With Gutner" in which Todd and local gardening experts demonstrated various home gardening techniques. Todd was also very involved in the community visiting hundreds of elementary schools. In October 2014 Todd returned to the NEWS CENTER Maine family, deciding that the Maine way of life truly is, "The way life should be". Todd loves offering his time to the community, especially working with kids. He and his wife Rachel have settled in the greater Portland area with their twins, a son and a daughter. Whether it's gardening, a family hike or hanging at the beach, Todd thoroughly enjoys the great outdoors. His kids occupy most of his time and attention, but when he has a moment, Todd loves playing sports and exploring the seemingly endless gastronomic choices that Maine has to offer. Q: Who had the biggest impact on shaping your career? A: Joe Cupo. Joe pretty much taught me everything I know. But what sticks out most was one of his first pieces of advice. He told me, “Todd, man cannot predict weather.” After forecasting in Maine for over a decade, I’ve determined he’s right. Q: What is the best way to eat lobster? A: The knuckle is my favorite part of the lobster. It’s so sweet, tender and juicy that no butter is needed at all. Q: Out of all the time you’ve spent outdoors in Maine, what sight has really stuck with you? A: Every summer my family spends time on Bailey Island. To get there, you cross over several bridges. But the one connecting Great Island to Orrs Island is truly special. It spans a narrow channel that looks like a Scandinavian fjord. It’s mesmerizing and signals I’m not too far from my happy place. Q: What is the best way to enjoy snow? Q: What is your trick to stay warm in the teeth of a Maine winter? A: I wear my ski pants everywhere, even in the house. A: Hands down, the 2004 Red Sox. Coming back from being down 0-3 to the New York Yankees was unreal. Winning the World Series was the cherry on top. You couldn’t have scripted breaking the curse any better. A: I grew up in the 80s and 90s, so there are a lot of great options. But Guns N’ Roses is probably my favorite. I’m #gnr4life.